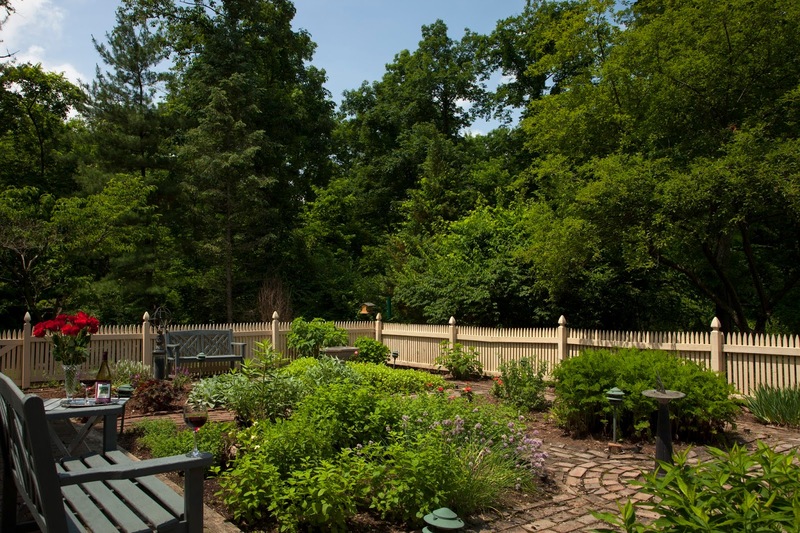 I recently spent a beautiful Cumberland Valley summer afternoon talking with seasoned innkeepers Dee Fegan and Chuck DeMarco about their new home. It’s been two years of renovations and planning and they are open for business. Dee and Chuck recently rightsized from their former larger inn, which they opened up to thousands of guests, horses and special events for over 19 years. 30 Timber Road is a well-appointed 3 bedroom, ensuite Williamsburg style home situated on 14 private wooded acres that enjoys the sunrise, the stars, the wildlife and the best greeter puppy, Nate. Nate takes his innkeeping duties seriously, he is well-trained, sweet and only interested in your comfort and happiness. Dee and Chuck picked the best rescue puppy and he along with his two outdoor kitty assistants are sure to keep the wildlife around the house in check. In talking to Dee and Chuck, it is clear that this rightsizing was the right thing for them. They now have more time to do what they love most about innkeeping – and that is to spend time with their guests. Innkeepers by nature love people and they love to listen and learn. They are people-people. This is why I love to stay at B&B’s and inns. They know how to make the trip deeply personal and rich with an added dimension that you only get with staying with a “local” and trust me you don’t have the drama of staying with family. Because this listening skill is so innate in them, they are a wealth of knowledge and information and can give you just the right kind of information, advice and guidance which will surely exceed your expectation. 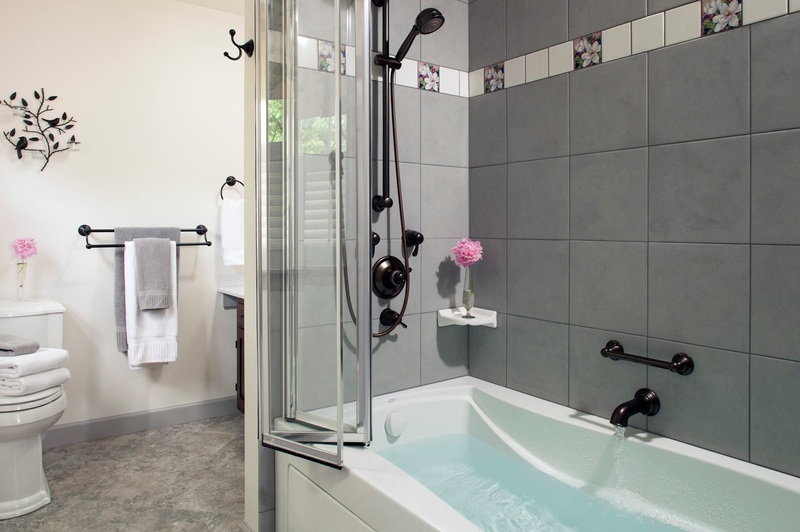 If you didn’t quite know what kind of experience you were looking to get – innkeepers and in particular, this couple Dee and Chuck, will be able to deliver. It’s magic that a weekend spent with an innkeeper makes a life-long friend that you stay in touch with. You may have celebrated an anniversary to start and before too long you may be going back to relive that moment while leaving the kids at home with grand-mom or grand-pop. Or you may be renting out the entire home so that you can celebrate your daughter’s college graduation after having come to stay with Dee and Chuck each year while she was at college. These life milestones spent in the company of Dee and Chuck help cement that love and friendship that you will treasure. And for those of you that don’t want this kind of relationship, your innkeeper will know when to back away, leave you alone and let you be to enjoy their home as if it is your own personal paradise. 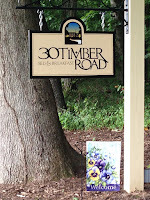 These are the top five reasons I would stay with Dee and Chuck at 30 Timber Road, which of course is also the address. First, location, location, location. They are smack dab in between beautiful historic Carlisle and beautiful downtown Mechanicsburg. Both communities have a terrific restaurant selection, unique gift shops and the architecture is genuine. So 10 minutes either direction gets you to a really authentic town experience. 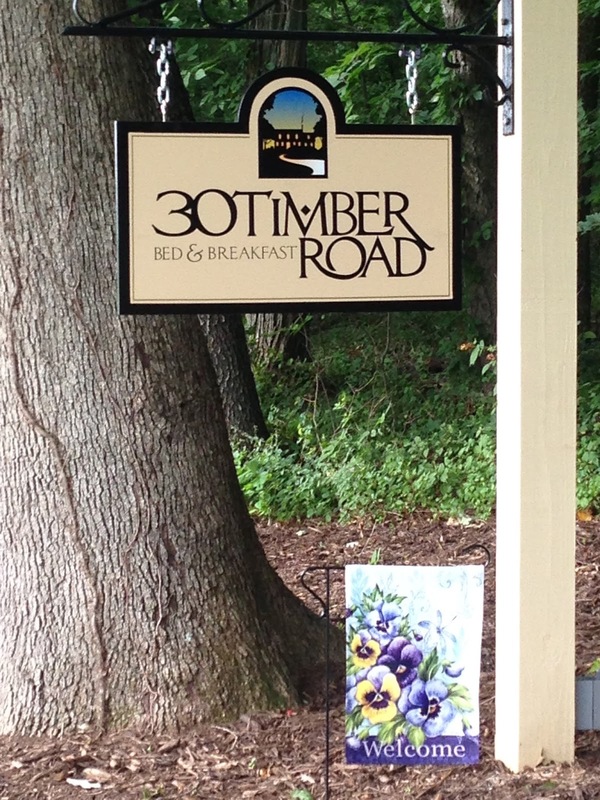 And yet 30 Timber Rd is smack dab in the middle of the woods. These woods bring you all the day and night sounds of nature you would not expect to get staying in south central PA and the Capital region. Deer, bunnies, ground hogs, birds, bees, tree frogs, cicadas. You can sit on the screened porch at any time of day or night and you will be serenaded by whatever wildlife song is up at that hour. While there at 5 pm, we heard the Owl serenade. I am certain at night you could easily believe you are on the bayou some number of states away. Thirdly, Dee’s garden is special. She can be found with her snippers, snip, snip and snipping away at a variety of herbs that will delight your senses with the morning breakfast. Dee is a great cook and she will meet your every culinary need. Always fresh, always local and served with love and attention. Fourth, imagine being surrounded by woods, but in the clearing around the house you can look up and see the Big Dipper and you can watch the sunrise. And there’s a beautiful working farm across the road that has beautiful rows of tall corn nearly ready for picking. Lots of opportunities for walking and resetting your monkey-mind. And finally, this is for those other half’s in your traveling party that can’t leave their Philadelphia sporting events at home – 30 Timber Road offers Comcast Sports Philadelphia. Chuck is a fan, so be sure to thank him for this amenity if this is your thing. While there Dee showed me some of the fabulous artistry in Cumberland Valley – on display and for sale. You need to meet Dee and Chuck and stay in their home at 30Timber Rd. You can choose from the Oak Room, Walnut Room or Magnolia Suite. You will not be disappointed. Dee and Chuck are the perfect hosts and concierge and they will ensure your every need is met.